BRYAN EATON/Staff photo. 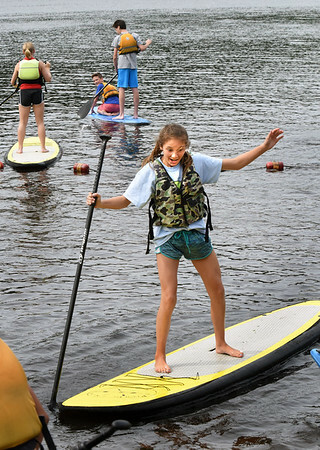 Amesbury Middle School student Olivia Levasseur tries to balance on a paddle board at Lake Gardner Beach on Thursday morning. The students were learning the basics of paddle boarding and kayaking on quite a windy day.